Ralph Andersen is of Danish and Yupik descent from Dillingham, Alaska in Bristol Bay. He is a member of the Clarks Point Tribe in Bristol Bay, as well as a shareholder in Saguyak, Inc. (Clarks Point Village Corporation). He is also a shareholder in the Bristol Bay Native Corporation. Ralph graduated from high school in Woodstock, Vermont in 1972. He attended Dartmouth College in Hanover, New Hampshire from 1972 to 1974. In 1979 he received a Bachelor of Arts degree from the University of Alaska – Fairbanks in English and Political Science. 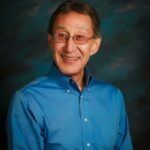 Ralph lived in Barrow for about 20 years beginning in 1979 where he worked at the North Slope Borough, at the Arctic Slope Regional Corporation, and at Ilisagvik College. Ralph and his family moved back to Bristol Bay in 1998 where he joined the Bristol Bay Native Association (BBNA) as the Natural Resources Department Director. Ralph is now the Chief Executive Officer of BBNA. 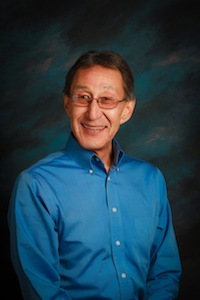 Previously, Ralph was the Co-Chair of the AFN Board for three years. He is now serving his first term as BBNA’s representative on the AFN Board. Currently he is a chairman of the Bristol Bay Partnership and chairman of the Western Alaska Salmon Coalition. Ralph is married to Flossie Hopson, and they have three children and eight grandchildren.